Unknown displays a strong focus on color as well as materials. The radiating umbrella evokes a feeling of the color wheel, which is a concentric graph of the primary, secondary, and tertiary colors. Smaller circles attached to the top of the umbrella help to create an almost symmetrical composition. 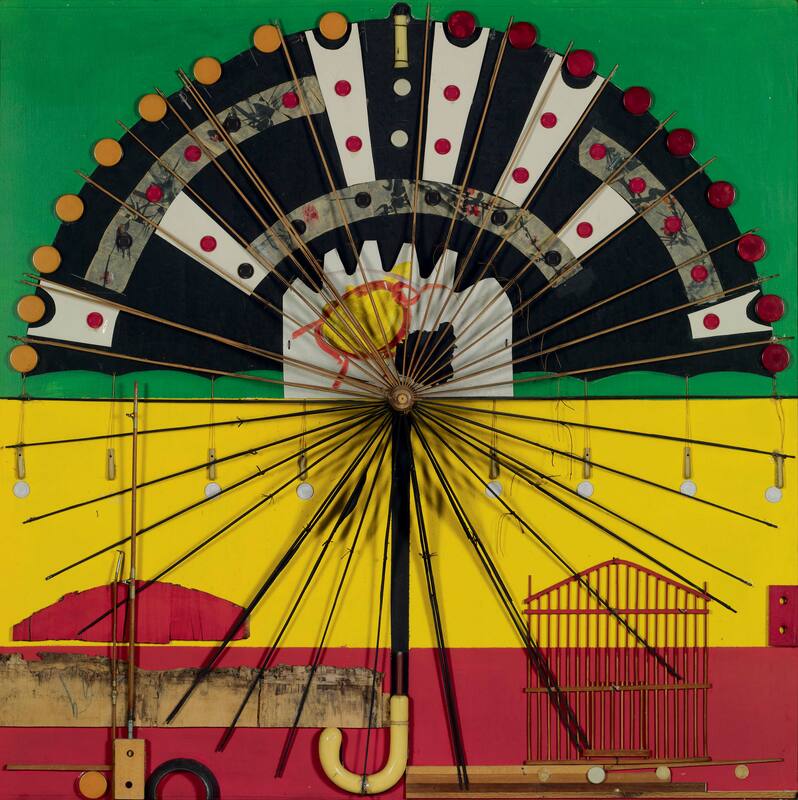 Purifoy made numerous paintings during this time that included red, green, and yellow, perhaps a reference to the Rastafari movement and to the colors used in the flags of many African nations. "Unknown." Now Dig This! Art in Black Los Angeles, 1960–1980 Digital Archive. Los Angeles: Hammer Museum, 2016. https://hammer.ucla.edu/now-dig-this/art/unknown.